Tomislav Šunjka is founder of the independent ŠunjkaLaw in Serbia. 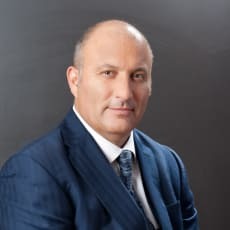 His background is business and transactional law, and everything connected with transactions, M&A and tax planning, privatisations, PPP law, foreign investment, dispute resolution and complex litigation and other business law throughout the world. Because of this background, he understands very well the nature of transactions, bank transfers and financial arrangements, and he uses that knowledge as a tool in his asset tracking and recovery practice. Mr Šunjka is a regional representative for Europe on the International Bar Association’s Anti-Corruption Committee, as well as an exclusive member for Serbia, the Balkans and the former Yugoslavia in FraudNet (an international network of lawyers that operates under the auspices of the London-based ICC Commercial Crime Services FraudNet Network). Mr Šunjka is certified as an auditor by Ethic Intelligence for the ISO standards 19600, on Compliance Management Systems, and 37001, on Anti-Bribery Management Systems. He has published several works on European Union law, the securities market and the related role of banks, the European Central Bank and the European System of Central Banks, the European Convention on Human Rights and the European Court of Human Rights in Strasbourg. He also lectures on fraud and asset recovery. Mr Šunjka is fluent in English and Russian.